Teaching Activity. By Jack Bareilles. Questions and teaching ideas for Chapter 19 of Voices of a People’s History of the United States on the emergence and legacy of the 1960s counterculture, as well as the movements it helped create. In most of our classrooms, discussions of movements of the 1960s generally focus on those big endeavors — civil rights and the antiwar efforts — that are discussed in the traditional textbooks. 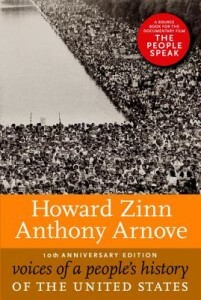 Yet this approach, as Howard Zinn reminds us, omits an essential topic for discussion—the emergence of a counterculture with “radically different ideas about how people should live their lives.” Indeed, “The United States experienced a general revolt in the culture against oppressive, artificial, previously unquestioned ways of living. This revolt touched every aspect of personal life,” Zinn suggests. Certainly the civil-rights movement and the Vietnam Era protests affected us all, but our lives were also changed forever by the poetry, literature, speeches, and protests of women who demanded their liberation, gays and lesbians who “came out of the closet,” native peoples who launched the Red Power movement, and prisoners who questioned their rights as incarcerated Americans. As teachers, it is important to bring the voices of the counterculture to our students. And in so doing, we must remain ever mindful that to our students, this revolt has colored and textured the only history they have known. Indeed, in their eyes, today is the way the world has always been. It is imperative, then, that we give our students the tools to understand the events leading up to this transformation, the voices that shaped it, and the way in which it changed the American social landscape. 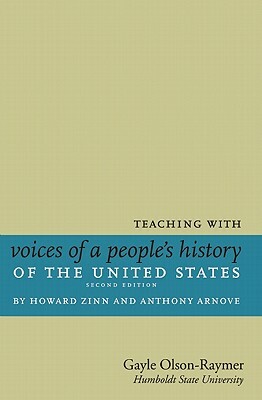 Reprinted from Teaching with Voices of a People’s History of the United States | Published by Seven Stories Press.